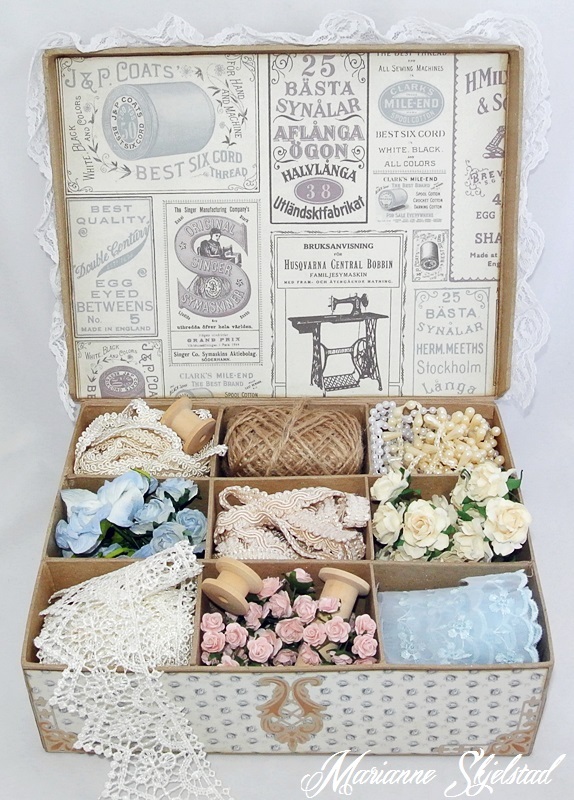 I have made a sewing box with the beautiful papers from Alma’s Sewing Room. 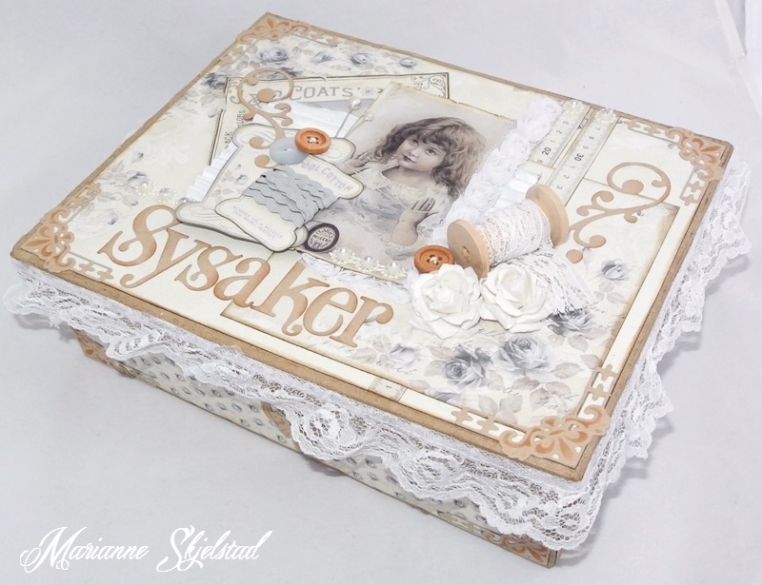 These papers are simply made for a sewing box with all the perfect details. 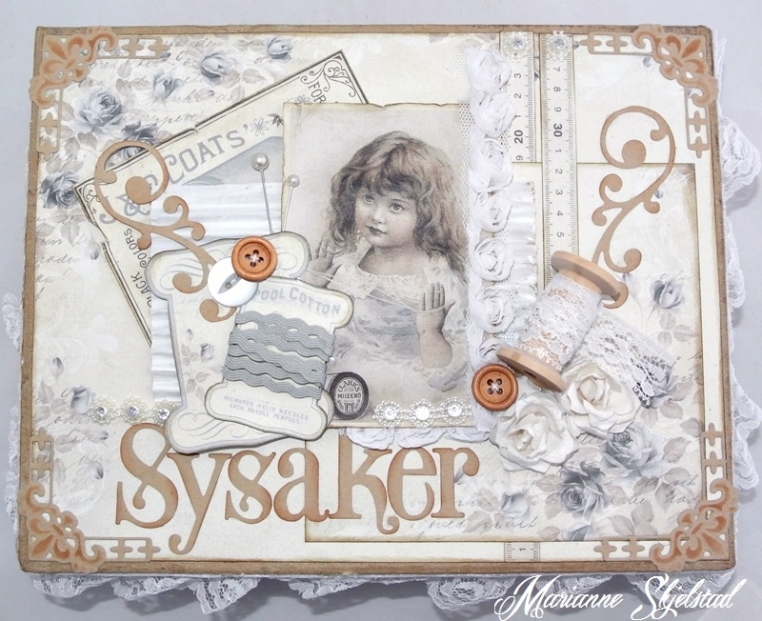 I have used the sheet Blue rose and a picture from the sheet Images, and the tags, post cards and borders are also from this collection. For decortaion I have used ribbons, roses and buttons. The corners, swirls and letters are punched from cardboard. This box is SEW BEAUTIFUL! I want so much to try this! I love this sewing box !!! Like Karen i want to say : Fabulous creation !! !